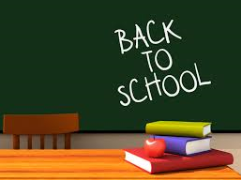 Returning back to school is definitely a nightmare for most students who still indulge in the happiness and joy the holiday brings and are reluctant to throw themselves into the heavy study, while the much-anticipated deals is the only solace they can expect. However, parents may start hyperventilating when it comes to the cost of these back to school gifts. In addition, to choose, with consideration given to the significance and purpose, the right gift without distracting the children’s attention can lead to a real headache. No matter how hard parents are striving to be frugal, back to school deals is still a very needs-driven event. Parents want to get the best great deals to make sure that their children are well-prepared for coming school year. Every back-to-school season, parents try to find the most suitable gifts that better connect with and be liked by their children. To help those parents and students out, here we round up a list of the best back to shool deals which are both cost-effective and education-oriented. Hope this helps. Learning is never an easy task. Deeply as the parents may be obsessed with their children' success, they still want their children to combine exertion and rest. 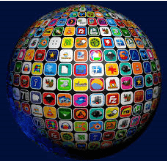 To enjoy some DVD movies or online videos on the mobile devices, such as iPhone, iPad, Android, HTC One, Blackberry etc may be a good choice for students. To meet this need, MacXDVD Software offers the best back-to-school gift pack. MacX Video Converter Pro, MacX DVD Ripper Pro and many other useful and simple tools are available easily satisfy your needs. Please take note that a grand back to school deal targeting the upcoming school year is underway. You can get up to 78% off discount from this promotion. On the top of the best back to shool gifts list, an e-reader is highly recommended. With an e-reader, many things can be achieved at one stroke. Probably the most compelling reason lies in its portability. You don't need to pack dozens of books into the already-heavy-and-full luggage of your children or worrying about damaging their developments if too many books are carried. Meanwhile, to store whatever books in just a tiny, compact, light and thin device for reading everywhere can helps children form good reading habit which every parents will appreciate. 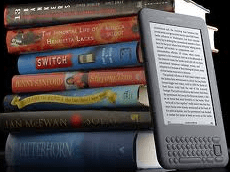 Kindle, Kobo, Nook or Reader Throw Down, an e-reader costs no more than 150 dollars and from long term, costs of buying paper books can be saved as most of them can be shared or downloaded online. Speaking of returning back to school, school supplies can never be ignored. Pencils, notebooks, backpacks, crayons, glue, calculators, scissors, markers & highlighters etc are always essential to study. It goes without saying that those items are among the best back to school deals. National Retail Federation survey finds that many retailers have started back-to-school sales and will continue to roll out discounts till September. Many school supplies such as the items aforementioned can be found at lower prices in those discount stores. Don't know what to choose? The most efficient and direct way is to let you kid choose. As back-to-school shopping forces the parents to rack their brains and makes them exhausted, the option to let the kids choose their desirable ones can relieve their parents from the trouble. A study also indicates that more than half of parents take the back-to-school shopping as an ideal opportunity to talk about money with their children. 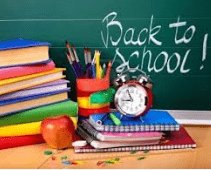 In a nutshell, June to August often see substantial discounts on back to school deals, you can surely choose the right one for your kid even if you are on a shoestring budget. Various other options are also available besides the above best back to school gifts, like a cellphone, dress, basketball, palette, harmonica etc, the key is to understand the needs and interests of your children.